I spent time yesterday just being at the ocean’s edge, watching the waves come and go. Occasionally a group of pelicans would fly silently overhead. Lying down, I could see jet streams from time to time streak across the cloudless blue sky above me. It was windy and cool. Walking barefoot into the shallow water the cold water moved sparking sand past me as each wave receded back into the sea. It was good to be quiet. I read from the Bible and from a book on praise. I have found that I need quietness. 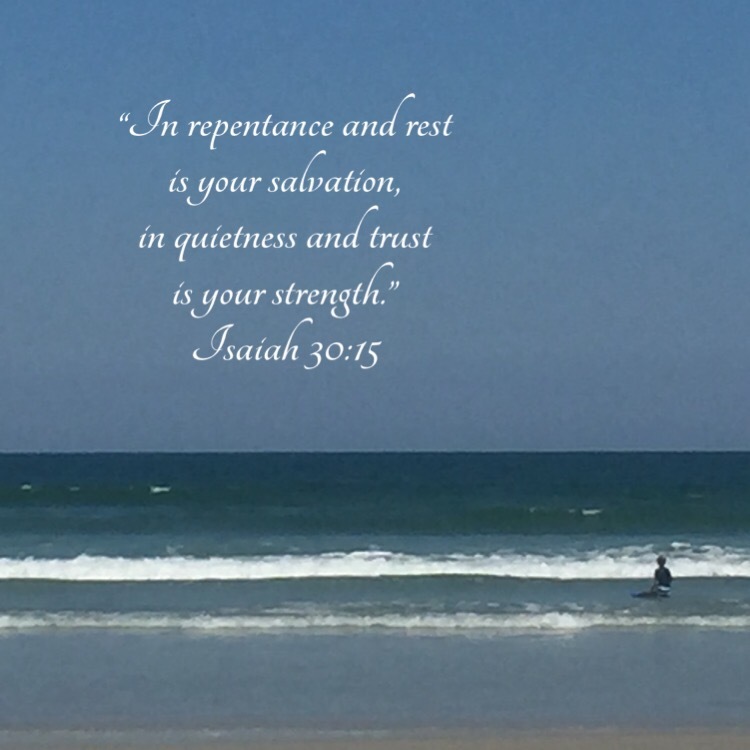 This entry was posted in Bible verses on photos, Inspirational photography and tagged beach, quiet, rest. This is a beautiful post to read as my day draws to a close. Thank you.